In his Mémoires Berlioz addresses to Heine his 6th Letter from his first visit to Germany (1842-1843; in connection with his visits to Brunswick and Hamburg). 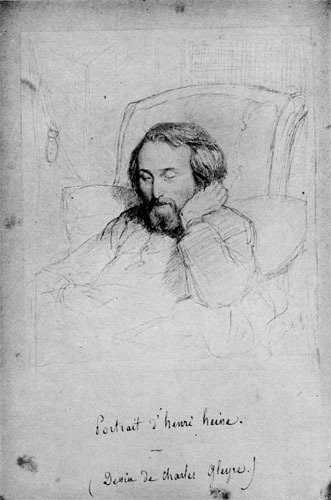 This original pencil drawing is reproduced here courtesy of the Bibliothèque nationale de France. Heine was born in Düsseldorf and died in Paris. 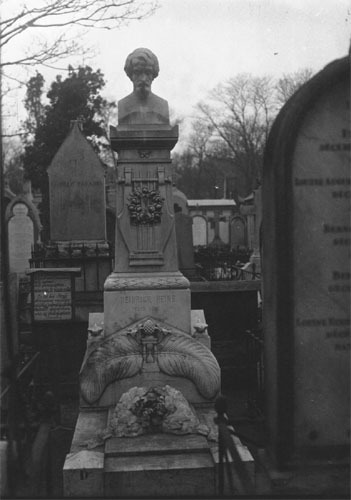 He is buried at Montmartre Cemetery, where Berlioz is also buried. This picture is reproduced here courtesy of the Bibliothèque nationale de France. A friend and collaborator, the French poet Émile Deschamps turned Berlioz’s prose into verse for his Dramatic Symphony Roméo et Juliette. In this connection Berlioz writes: “After a fairly long period of indecision, I settled on the idea of a choral symphony, with vocal solos and choral recitatives, for which Shakespeare’s Romeo and Juliet would provide the sublime but perennially fresh subject. I wrote a prose draft of all the text that was intended for the vocal interludes between the instrumental pieces. Émile Deschamps, obliging as ever, turned this text into verse with the exceptional fluency that is his, and I started work. ” (Memoirs, Chapter 49; see also Romeo and Juliet.). 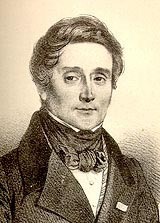 Strophes 2 and 3 of Berlioz’s Le Trébuchet are also by Deschamps. A copy of this picture is in the Bibliothèque nationale de France. The German conductor, virtuoso pianist, and composer was in his youth a protégé of Liszt whom Berlioz met in Weimar in 1852. He married Liszt’s daughter Cosima, who later left him to marry Wagner in 1870. 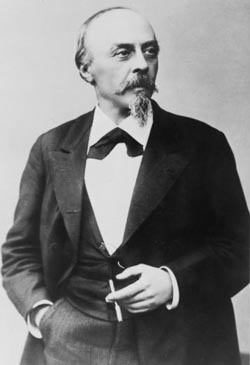 Bülow became one of the most active supporters of Berlioz in Germany and continued to champion his music after the composer’s death. See further the page devoted to Hans von Bülow on this site. 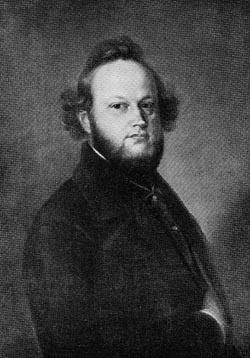 A German critic and writer on music, Griepenkerl had a cordial friendship with Berlioz and encouraged his musical career in Germany. The two men first on 9 March 1843 in Brunswick where Berlioz had just given a concert. 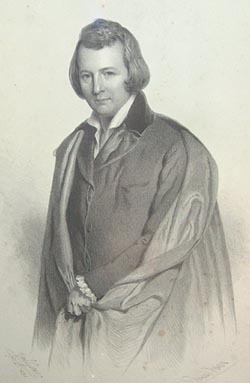 In 1843 he published a pamphlet entitled Ritter Berlioz in Braunschweig (Sir Berlioz in Brunswick), in which he vehemently responded to negative critiques of Berlioz’s music. The above portrait has been scanned from our own copy of Ritter Berlioz in Braunschweig.